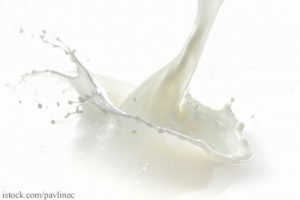 The Campylobacter raw milk outbreak linked to The Family Cow farm in Chambersburg, Pa. has now sickened 71 people, making it one of the largest raw milk outbreaks in the state and nation in the last five years. Of those 71 people, at least nine have been hospitalized. That’s one short of the largest Pennsylvania outbreak in the last five years. The outbreak has sickened at least 62 people in Pennsylvania, four in Maryland, three in West Virginia and two in New Jersey as of February 14, 2012. The Centers for Disease Control and Prevention (CDC), which often investigates multi-state outbreaks, is aware of the outbreak, but not involved in the day-to-day investigation, according to Holli Senior, deputy press secretary for Pennsylvania’s health department. Over the last five years, seven Pennsylvania raw milk outbreaks have sickened more than 250 people. The Family Cow outbreak is the largest raw milk outbreak in the Pennsylvania since 2008 when a Lancaster County outbreak sickened 72 and Montgomery County outbreak sickened 68, Senior said. Those outbreaks are also the largest reported nationwide in the last five years.